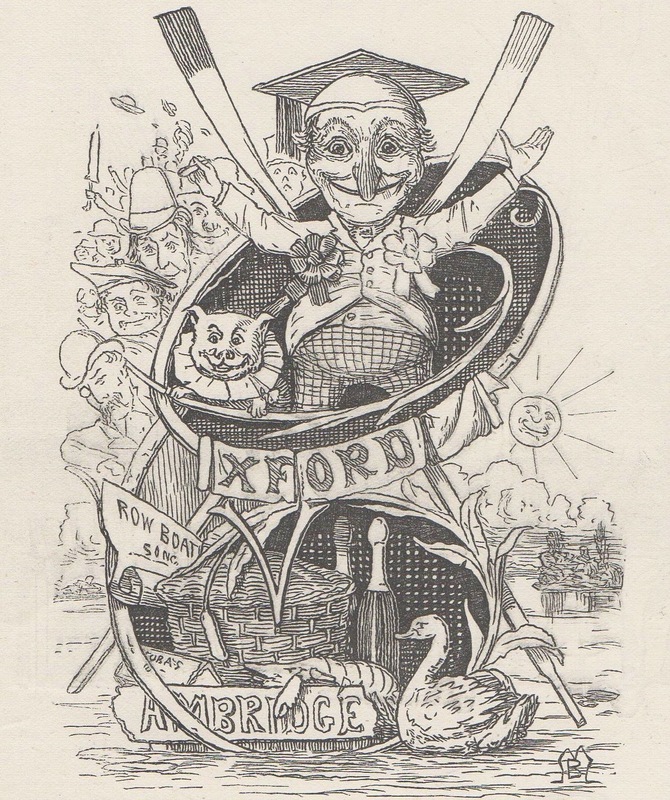 1878: Mr Punch supports Oxford – and Cambridge. 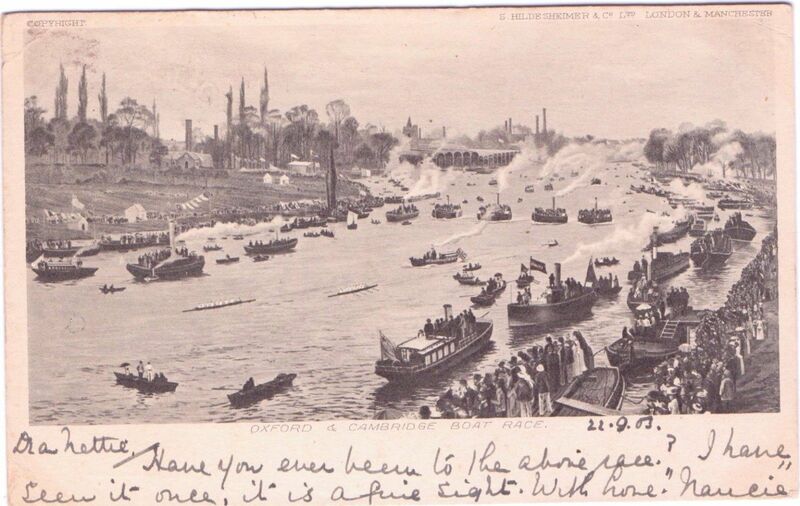 The build-up to this year’s Boat Race Day on 2 April has begun in earnest and the anticipatory mood is growing, particularly for those of us lucky enough to have some sort of privileged access. Tuesday, 28 March to Saturday, 1 April is ‘Tideway Week’ for the 2017 Oxford and Cambridge crews, a period when they spend the last days before the big event living with their crewmates in Putney, engaging in a final training period of serious eating and gentle paddles, the latter under the gaze of press and photographers. It is the closing preparation for a day that they will never forget. Most of these intelligent young people will go on to have great careers (whether defined by public service or by personal reward) and will probably achieve things in life that, looked at logically, will be considerably more important than making one long, thin boat move a little faster than another long, thin boat. However, when in the future they make conversation with strangers and whatever else they have done, it will probably be the fact that they once took part in ‘The Boat Race’ that these new acquaintances will want to hear about. Once they first pass the Fulham Wall, they will be ‘A Rowing Blue’ for the rest of their lives. 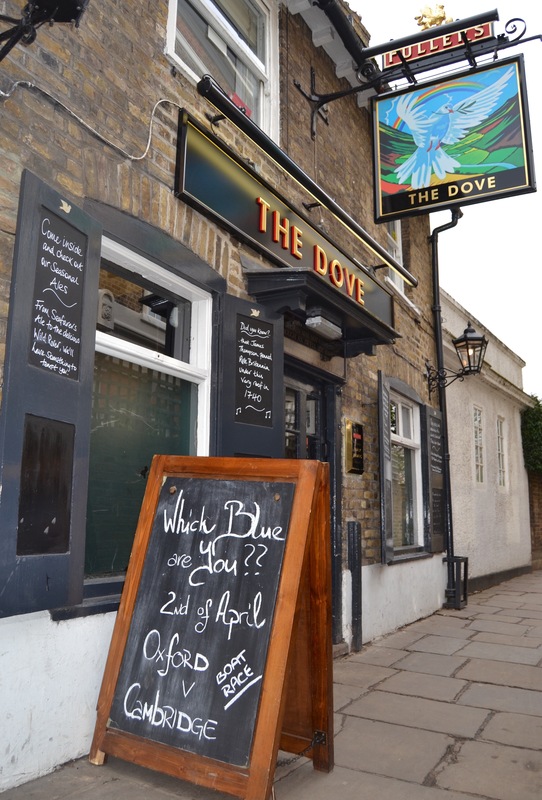 A reminder from the Dove pub at Hammersmith, once commonly used as a marker on the Boat Race course. The journey to the Tideway is a long and difficult one. It begins on the Cam or the Isis, and progresses to Ely to Wallingford via the gym, the ergo room and the training camp. It requires discipline and sacrifice and, even having made these commitments, most who try to get a place in a Blue Boat will be disappointed. A postcard sent on 22 September 1903. It asks: ‘Have you ever been to the above race? I have seen it once, it is a fine sight’. Boat Race Day 2017 is the third one in which the women’s Blue Boats (and also the women’s reserve boats) race on the Tideway on the same day and over the same course as the men. It is also the fifth year of financial parity, with Oxbridge women’s rowing now enjoy the benefits of professionalism over 30 years after the men first began the move away from the age of the Victorian gentleman-amateur. 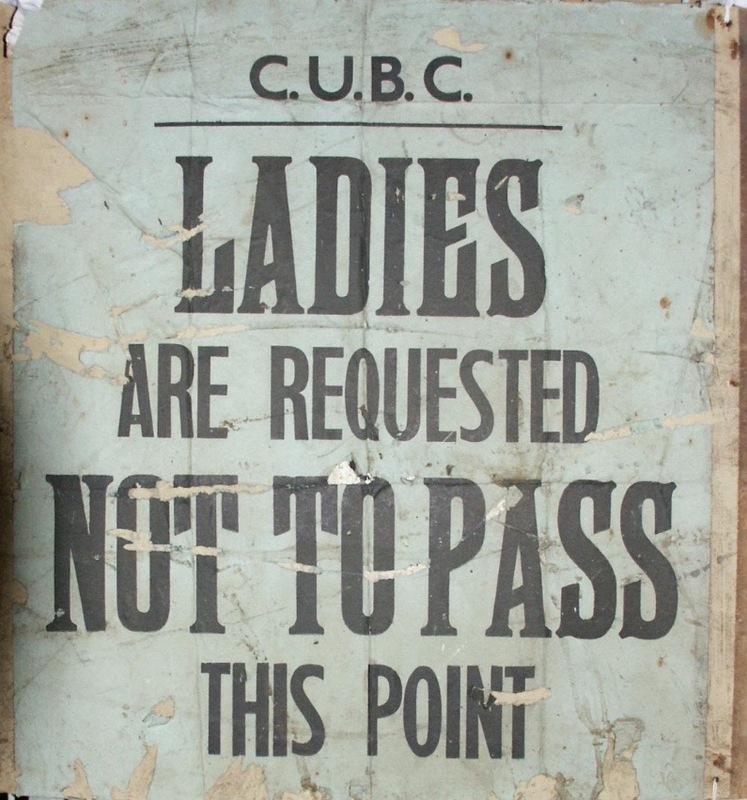 A historic Cambridge University Boat Club sign, now in Henley’s River and Rowing Museum. These days, women’s rowing has gone past the point of no return (in a good way). ‘Hear The Boat Sing’ will be posting every day between now and Boat Race Day. Some posts will be on historical aspects of the event, some will be rather more contemporary. Join us on the long row from Putney to Mortlake, no ergo tests are required. As this 1965 graphic indicates, years ago you may have been able to rely on the “Daily Express” newspaper for Boat Race coverage. However, you will not be able to do so today – unless Princess Diana or a Romanian asylum seeker is in one of the crews.